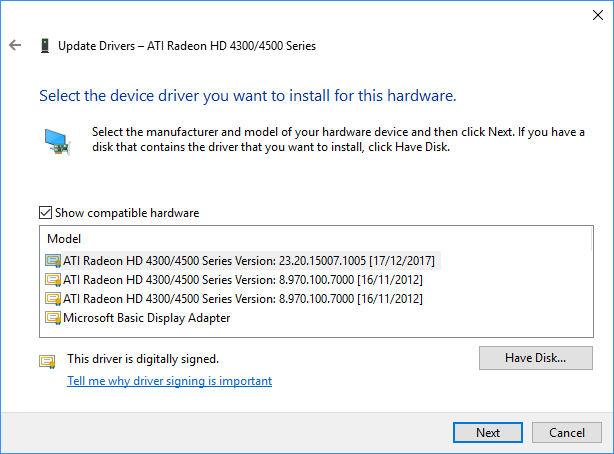 My front desk computer in the shop has an Athlon 64 x 2 fitted with a Radeon HD 4550 graphics card, which today is considered a legacy GPU and although drivers are available for Windows 7 and 8, an HDMI connection to the monitor will cause an underscan. That is to say, the desktop won’t fill the entire display and is underscanned by around 15%. 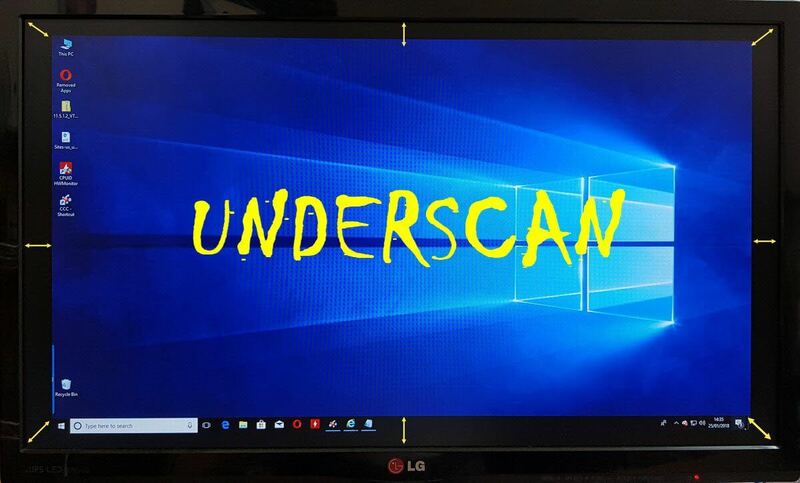 When using an HDMI/DVI adapter cable this underscanning doesn’t occur (or D-SUB VGA for that matter) and it’s taken me a while to figure out how to solve the puzzle. It’s also worth pointing out that the underscan only occurs in Windows 10 from some apparent inability of the OS to recognise the correct model of GPU. 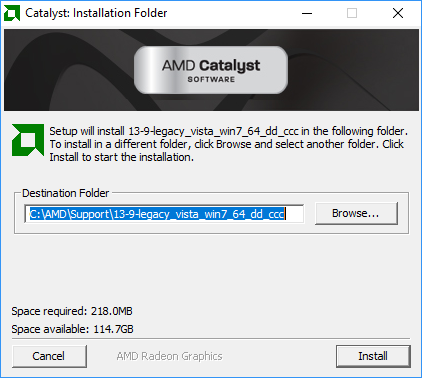 Neither does Catalyst Control Center open fully with the legacy drivers and shows a cut-down version with minimal options. But there are some methods available for fixing the problem and as usual, I happened upon the easiest route last of all. 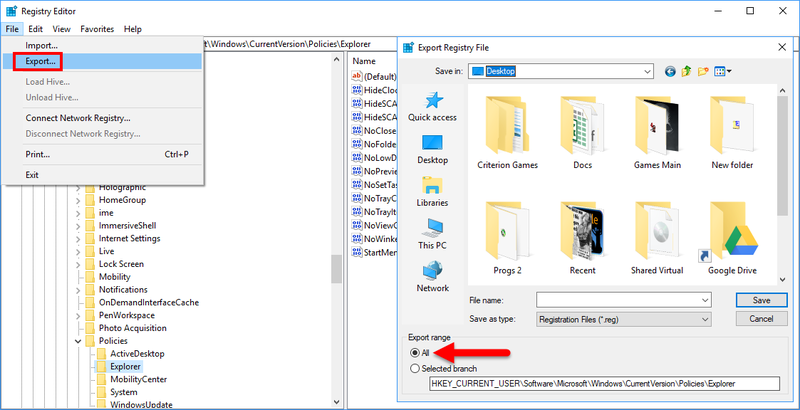 Making changes in the Windows Registry isn’t for the faint-hearted and before any changes are made it’s always advisable to make a Registry backup by running Regedit (as Administrator), clicking file>export, and selecting export range>all as per the diagrams below. Then select HKEY_LOCAL_MACHINE\SYSTEM\CurrentControlSet\Control\Video and find the long key (out of three) with three sub keys 0000, 0001 and Video as per the diagram below. Right-click the key 0000, hit find and input 1920×1080 in the search box (or the resolution you need) and if 1080 is the resolution of your monitor the key DALR6 DFP1920x1080x0x60 will be highlighted in blue which you should then double-click and change every entry to zero. 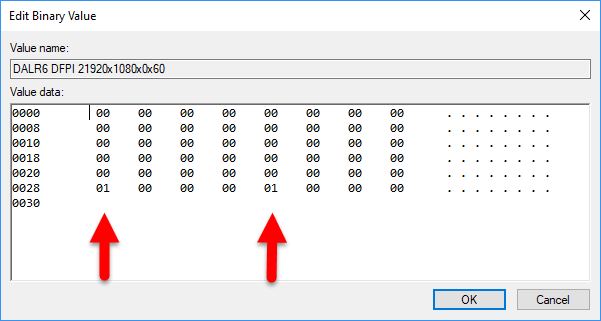 Carry out the same exercise on the 0001 key, close Regedit, adjust your resolution to 1080 and you should find that the underscan has now gone. In my case, these keys weren’t present so I moved on to option two. 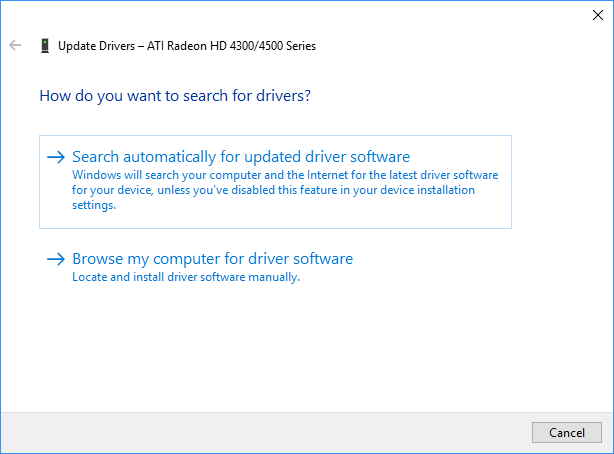 Again, in my case I’m using a Radeon HD 4550 and, using Display Driver Uninstaller, I removed all the AMD drivers in safe mode, rebooted normally and located AMD Catalyst 13.9 legacy drivers which I’d downloaded previously by selecting Windows 7 x64 on the AMD page, even though I’m running Windows 10. I then right-clicked on the driver package, set compatibility to Windows 7 and clicked run as administrator. 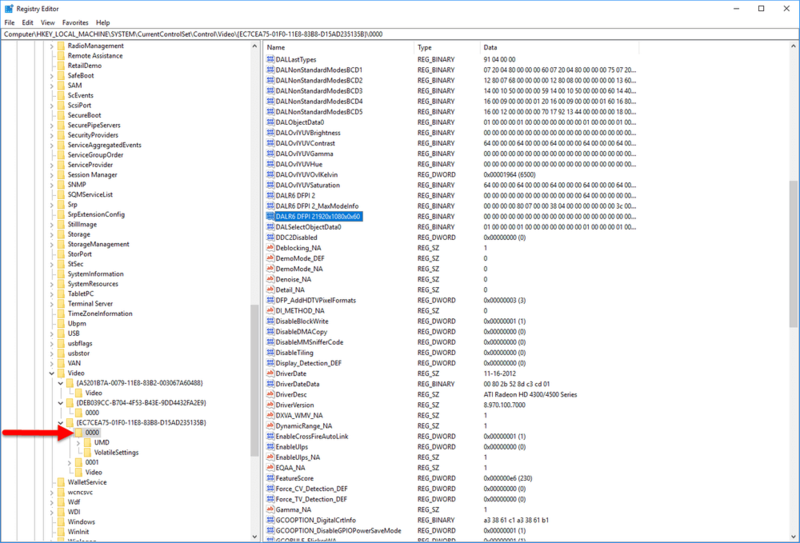 I then let the package extract to C:\AMD but didn’t continue with the installation by cancelling the next procedure. 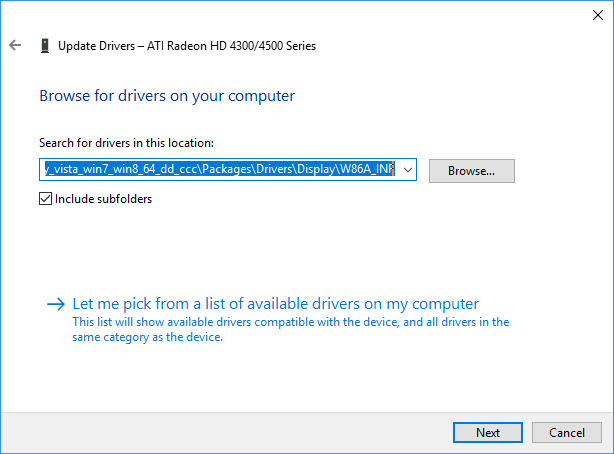 I then went to device manager, selected the graphics card and clicked update driver, browse my computer, let me pick from a list, selected the HD 4500 model, clicked have disk and then pointed to the extracted AMD package. You can follow these diagrams one by one and follow the tree, which in my case was C:\AMD\Support\13-9-legacy_vista_win7_64_dd_ccc\Packages\Drivers\Display\W76A_INF. 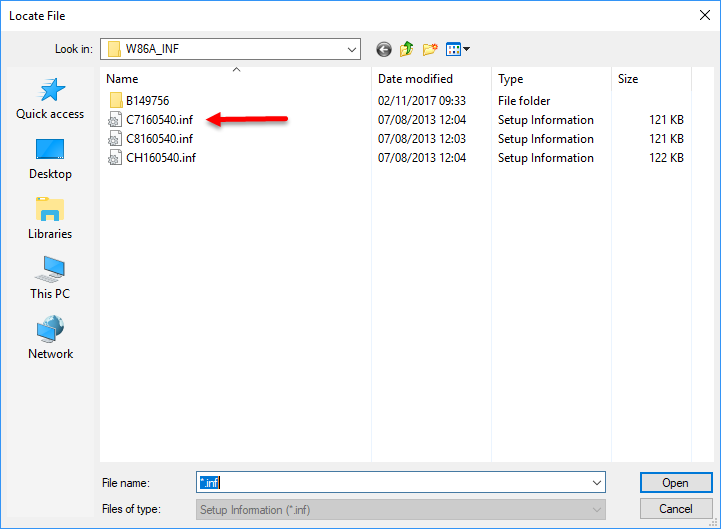 After clicking have disk I selected the .inf file in the list and Windows installed the correct driver. 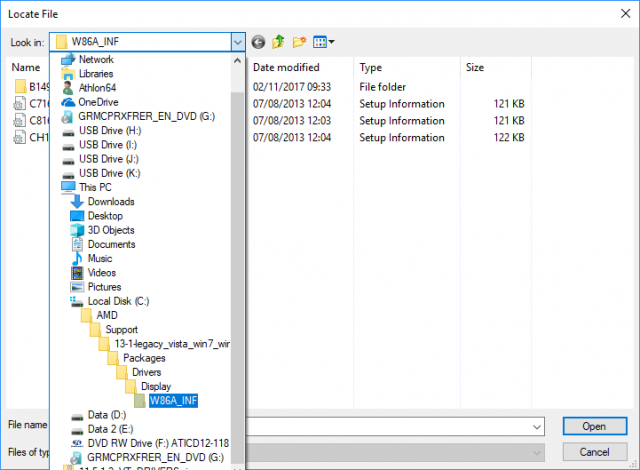 Once this was completed, I installed the Catalyst driver in the normal way but with compatibility with Windows 7 and Administrator rights, hoping that Catalyst Control Center (CCC) would function normally and allow me to adjust the annoying underscan. Unfortunately, this didn’t work and so I then moved on to option three. It’s debatable whether this should be done in conjunction with option two. Either way, CCC.exe was easy to find at: C:\Program Files (x86)\ATI Technologies\ATI.ACE\Core-Static\ccc.exe once the Catalyst software had been installed and again, I set compatibility and Admin rights, with the program opening normally with all the functions available, including the all important underscan (Scaling Options). I found this to be by far the easiest option, particularly as I’ve used the scaling feature before on Windows 7 when I connected a PC to a 32″ TV. The difference here is that if you don’t dig down to find CCC.exe (Catalyst Control Centre) the driver package installs a cut down version of AMD Vision Engine Control Center with no entry for My Digital Flat Panels, requiring users to hack the registry as per option one. 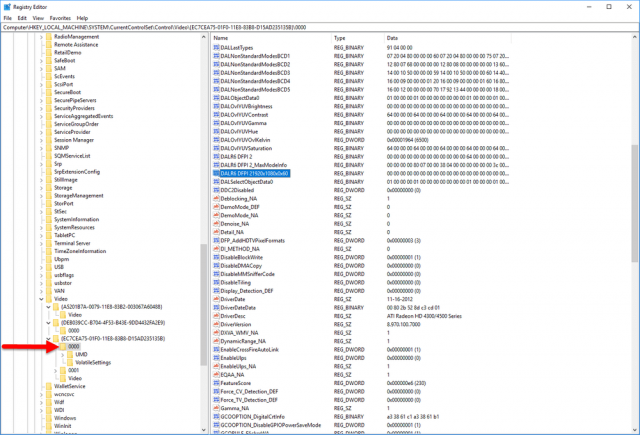 Of course, if I’d known where to find CCC.exe in the first place I would have saved myself a lot of time. 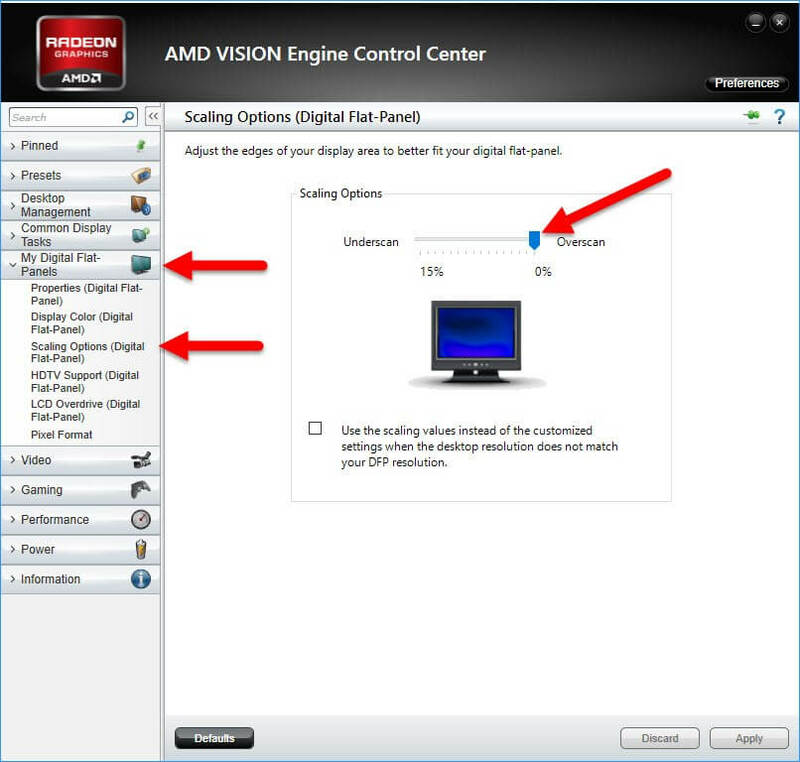 There are numerous pages on AMD forums and other tech sites dedicated to solving this underscan problem and from what I’ve read, people end up with different results, but it’s certainly a lot simpler to follow option two and three than hacking the registry, as the risk of something going wrong globally is far less.